The Harcourt family make appearances across almost a century of Kiwi media and the arts. Gordon Harcourt senior owned a radio station in Wellington back in the 1920s. His son Peter’s career spanned appearances on television, 50 years of radio, and a number of books about Kiwi culture. Peter married actor Kate Harcourt and they had two children: actor and all-rounder Miranda Harcourt, and Fair Go host Gordon Harcourt. Peter Harcourt was born in 1923, the same year his father set up the short-lived Dominion Radio Company, one of New Zealand’s earliest private radio stations. Peter's grandfather had founded the Harcourts real estate company, but after the 20s, the family had no further involvement. Peter's father moved from real estate into running what is now Wellington's Roxy Cinema; Peter later described the cinema as his university. In 1941 Peter joined the Government’s National Broadcasting Service as a cadet. Post-war, he spent roughly nine years in England, studying and working at the BBC, then continued to write and broadcast on Kiwi radio into the 1990s. During World War II Harcourt compiled messages recorded by Kiwi soldiers stationed overseas, to broadcast on popular radio show With the Boys Overseas. Some messages never went to air: Harcourt contacted relatives, who often listened to messages from sons who had since died. “To share their private grief,” he later wrote, “was an unforgettable and deeply emotional experience”. Miranda Harcourt would later make a film about her father’s unusual WWII job: Voice Over, which won the award for best NZ short in 1997. 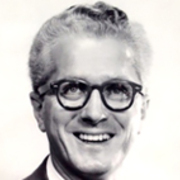 In the 50s and 60s Harcourt was often on stage, in revues put on by Wellington Repertory. In the 60s appearances on screen entered his busy array of interests. After they had success with children’s radio show Listen with Mother, Peter and his wife Kate worked on a show for television, Junior Magazine, with Peter voicing a puppet hippo. Although both shows were made by state broadcaster the NZBC, mention of one show while making the other was frowned upon. Harcourt also acted in a number of commercials, most famously an advertisement for Jockey underwear that showed him in undies and singlet. The advert was originally rejected for screening, but later passed; it was clearly early days for the Kiwi public to see a man in spectacles and briefs, on screen at least. One fondly remembered story involves Peter and his wife sitting in a cinema when it screened; a person in the next row turned around and said "some people will do anything for money!". Harcourt went on to act in locally shot adventure Rangi's Catch. In the 80s and beyond there was TV series Seekers, two roles in his son-in-law Stuart McKenzie’s film Ends Meat, and an episode of the show that brought his daughter fame: soap Gloss, as her on-screen father. He was also involved behind the scenes with the NZ Writers Guild and Downstage Theatre, spent time as president of Actors Equity, and led a campaign to save from demolition the St James Theatre (and sometime cinema) on Wellington’s Courtenay Place. The dress circle is now named in his honour. Harcourt was often called on for his encyclopaedic knowledge of the arts, and a collection of books which covered every wall of his office. Son Gordon recalls that many times he didn't even need to check the books for answers, thanks to "his truly encyclopaedic knowledge — he was like the internet". Harcourt wrote six books, a number about New Zealand culture. There was theatre history A Dramatic Appearance (which theatre expert Kurt Gänzl called “one of the desperately few good and factual books” on the topic), another on early stage musicals (“a thoroughly good read”, wrote Adrienne Simpson) and — with fellow radio veteran Peter Downes — 1976’s Voices in the Air, about his beloved radio. Peter Millais Harcourt died of cancer on 6 March 1995, two years after being presented with a QSO in the New Year Honours, for service to the community.